Whether you’re searching for houses for sale in San Diego, Miami, Atlanta, Charlotte or anywhere else in the country, if you’re hoping to come out on the best side of the deal and avoid as many headaches as possible, hiring a buyer’s agent can make all the difference. Most houses that are on the market have an agent representing the seller, often referred to as the seller’s agent. They’re primarily there to ensure the seller’s best interests are being protected, which is why you need a buyer’s agent on your side. 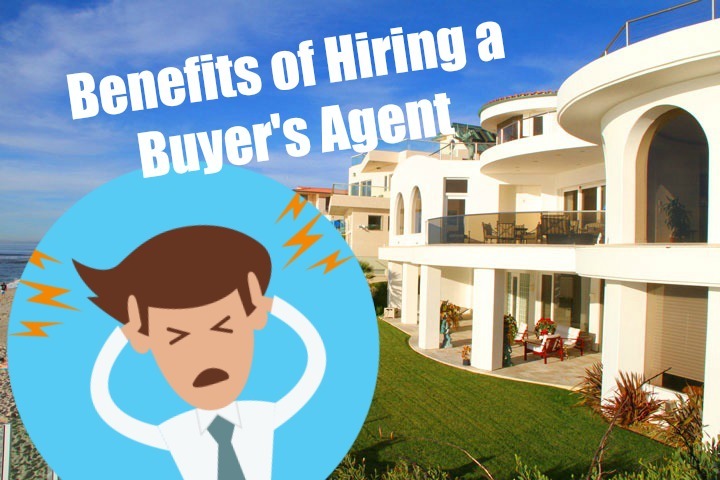 Unless the home you purchase is for sale by owner (FSBO) who won’t pay a buyer’s agent, which is fairly rare, you won’t have to pay a thing to have your best interested represented, but you will get quite a few benefits. A good buyer’s agent will be aware of all the red flags to look for when viewing homes, many of which you may not be aware. It’s their job to point out potential issues that should be evaluated by a structural professional, such as roofing problems, potential mold issues and pest or insect infestations, among many others. It’s easy to overlook these things when your emotions are involved and everything else about the house is calling your name, but the buyer’s agent can be the voice of reason and help you find the best property for your needs, instead of ending up with a lemon. An agent that lives in the area, knows the local real estate market well and has insider knowledge of local schools, development plans and commercial trends, as noted by HGTV.com, is important to have on your side. Real estate markets can vary from city to city and even neighborhood to neighborhood, and that knowledge can be a big help when it’s time to make an offer on a house, potentially saving you thousands of dollars by prevent an offer that isn’t in line with what it’s worth. The right buyer’s agent will have lots of experience when it comes to real estate contracts. As they are legally binding they should always be taken seriously, and the buyer’s agent who has experience handling these documents will ensure that all contingencies are taken care of, deadlines are met and that you’re satisfied with the terms. They’ll also know how to write a contract that will present you in the best possible light to the seller – when contracts are poorly written or missing something, those offers are often rejected. Securing the best financing for your circumstances is another important benefit of having a buyer’s agent on your side. They can help you evaluate your options to make the decision on the type of mortgage that’s best for you and secure the loan through a reliable local mortgage broker. A local mortgage company understands the local rules and regulations for the area as well as the entire process for real estate transactions.